Hard-wearing durability, a superb articulated fit and levels of comfort that are hard to beat. 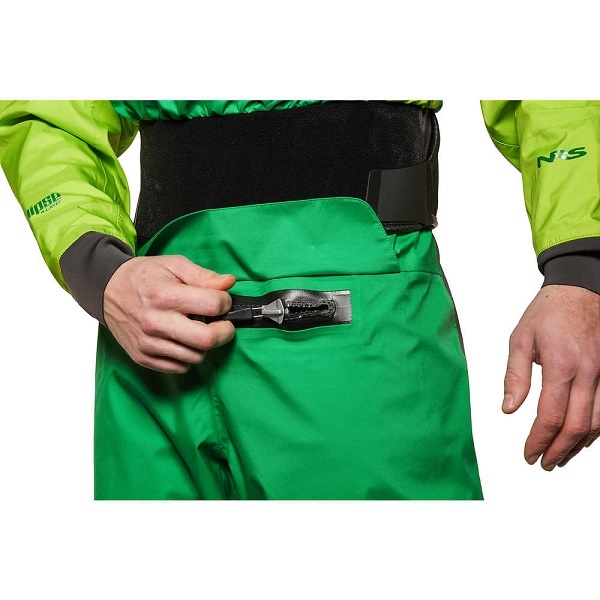 The NRS Crux really is a premium mens whitewater drysuit for kayaking and canoeing. The NRS Crux is a superb dry suit that has proven itself over many years. Ideal for those whitewater canoe and kayakers who want a drysuit that is tough but a great blend of comfort and performance. Perhaps the best thing about the NRS Crux mens is that it is made from the brilliant Eclipse 4 layer material. 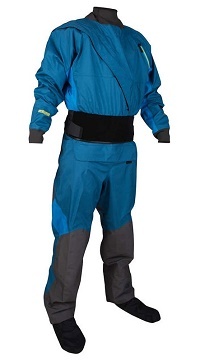 This makes the Crux incredibly light but without compromising the lifespan of the suit. Finished with a DWR outer coating the water simply beads off the Crux while the amazing Eclipse material ensures that you never overheat. You simply find that no matter how hard you paddle, the Crux reaches a nice temperature and you remain comfortable for longer. The NRS Crux certainly doesn't scrimp on features either and everything is just where you would need it. 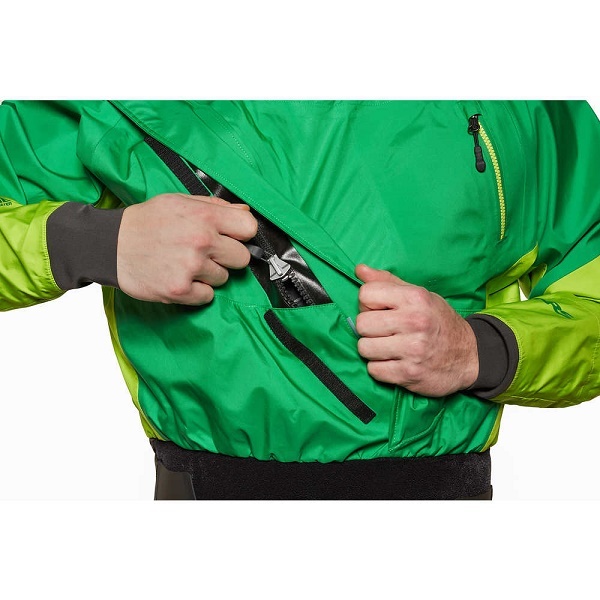 Reinfoced panels on the knees and seat for added protection, a large over the shoulder plastic entry zip makes getting in and out really easy, and a releif zip for those necessary stops are all standard. The NRS Crux features comfortable latex wrist and neck seals for the maximum waterproofing and a twin waist for marrying up to a spraydeck. Finished off with built-in waterproof fabric socks and please be sure to always wear shoes or boots to prevent putting holes in your socks. The NRS Crux Mens is available for delivery thoughout England, Wales, Scotland, Northern Ireland & Ireland. The NRS Crux Mens is available for instore collection from Norfolk Canoes or from any branch within the Canoe Shops Group.